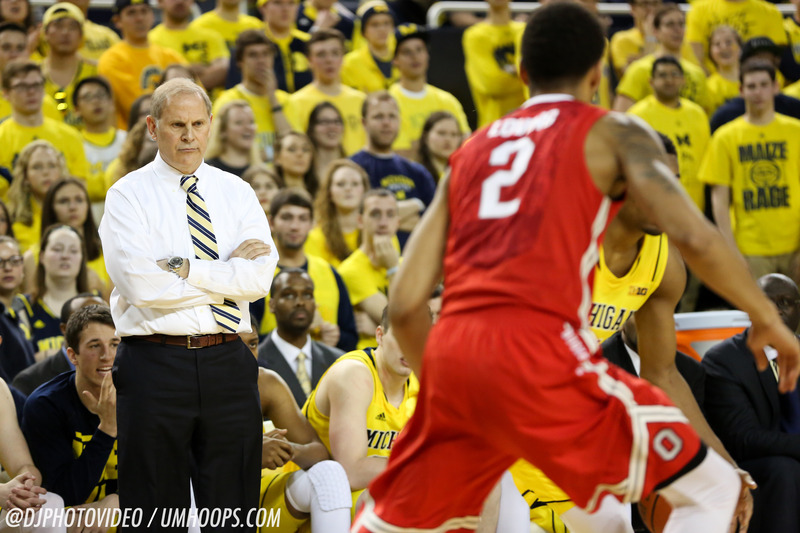 John Beilein joined the Big Ten coaches teleconference Monday morning to preview the Big Ten tournament, discuss the improvements Aubrey Dawkins and Muhammad-Ali Abdur-Rahkman have made, speak on the college basketball landscape and more. The Michigan coach’s remarks are transcribed below. On how one-and-done players affect a program: “We haven’t had any one-and-dones, thank goodness. But the two-and-done has similar types of ramifications. It is very difficult. I don’t know all the research that’s out there, but we’ve lost five or six in the last couple of years and it is difficult. The uncertainty in recruiting the prior fall, because young men come in and they want to play right away, but they see the star there. At the same time, if that star goes pro — you don’t know if somebody is going to go pro. People can assume it, but they don’t go that way. It is difficult. On game planning for Frank Kaminsky: “It’s a great story. I don’t enjoy the game plan; I enjoy the story. Here’s a guy that averaged two points per game as a freshman and wasn’t really on our scouting report as a guy you had to stop three years ago. Now he’s arguably one of the best players in the country. There’s a skillset of a guy being able to score inside and be able to shoot threes that’s very difficult to defend. Now you also add that he does see the floor. When he gets double-teamed, you’re going to have a step-in three or a closeout opportunity where somebody can drive with someone else. When you try to double him, he’s seen that movie before.